Make your own glass globe landscape memories. 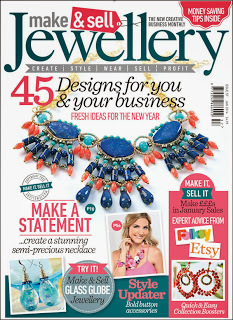 Our exciting new range of Glass Globe Jewellery has now been featured in the January issue of 'Make & Sell jewellery' magazine. 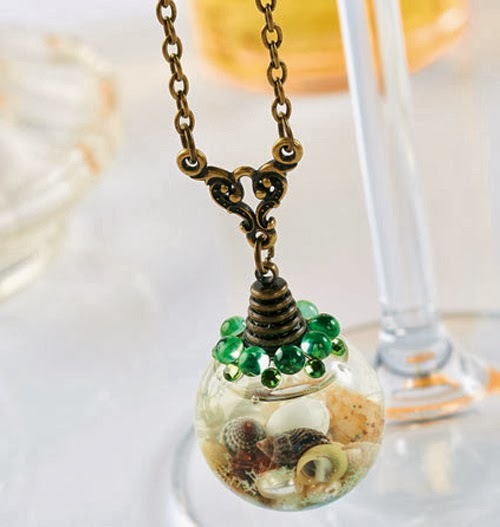 The versatility of Glass Globe jewellery is perfect for letting your imagination and creative juices run wild. 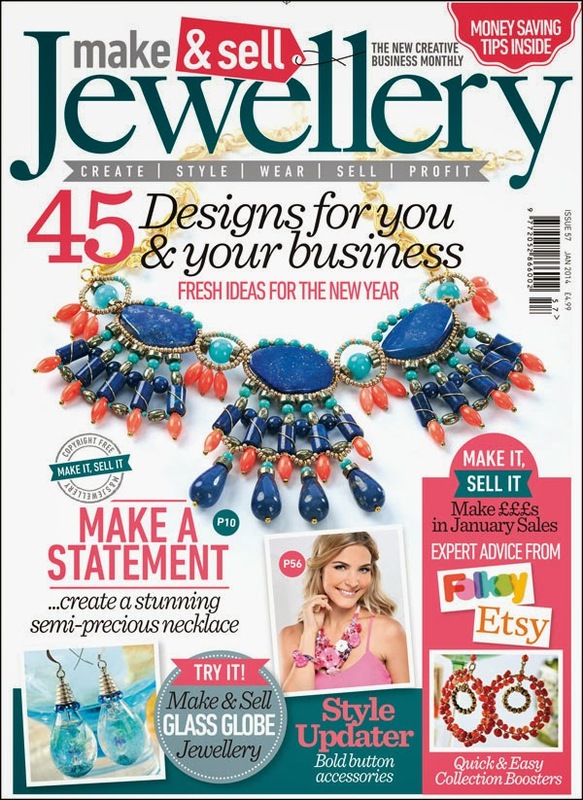 The magazines front cover features our 18x30mm Glass Teardrop Vial with our 8x10mm Cone Pendant Mounts. Beads have been threaded onto a Headpin and suspended in the 18x30mm Glass Teardrop Vial with Plastic Flowers, Water, Glitter and Washing-up liquid, and then finished with Flatback Crystals and Fish Hook Earring findings. 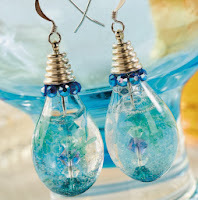 As you can see from the Glass Globe Rings featured in the magazine, the possibilities are endless. Our 25mm Glass Globe with 14mm mouth and our 14mm Glass Globe Bezel Ring Setting have been used to make the ring on the right and is also featured in the magazine. This wonderful pendant has been created using our 25mm Glass Globes with our 8x10mm Cone Pendant Mounts, filled with Sea Shells, Water, Glitter and Washing-up liquid and then sealed with Crystal Clay and the 8x10mm Cone Pendant Mount, and then finally decorated with Flatback Crystals and Cabochons using clear Glue.